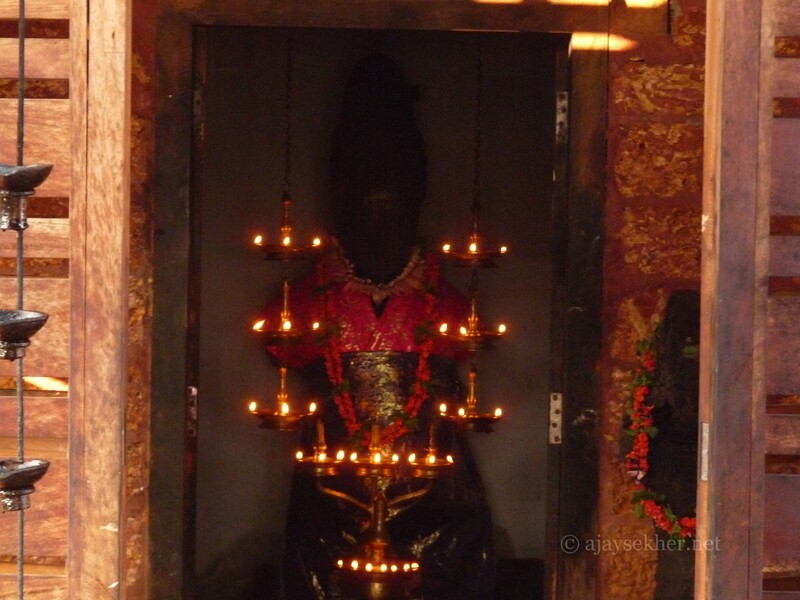 The main and big idol relic of Muruka at Trikaipata shrine Calicut. The limbs below the knee and hands are lost. The neck is also broken. The face is obliterated. The head gear and ornamented hairdo clearly connects it to the Boddhisatva figures and iconography associated with Mahayana Buddhism in south India. Murukan or Andavan was a Bala Boddhisatva before being appropriated into the Hindu Saivite pantheon as the son of Siva.